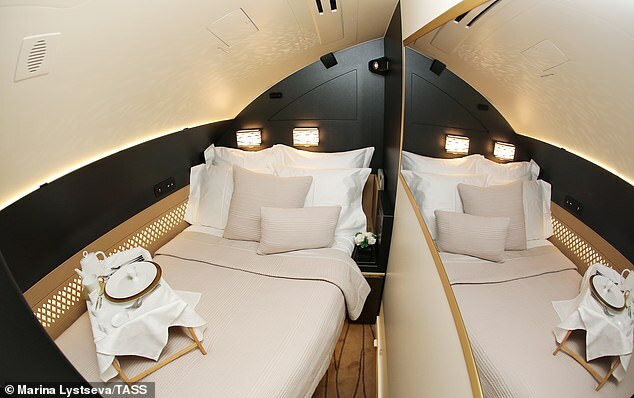 The firm said it had made the ‘painful’ decision after struggling to sell the world’s largest passenger jet and after Emirates chose to slash its A380 orderbook by around a quarter. 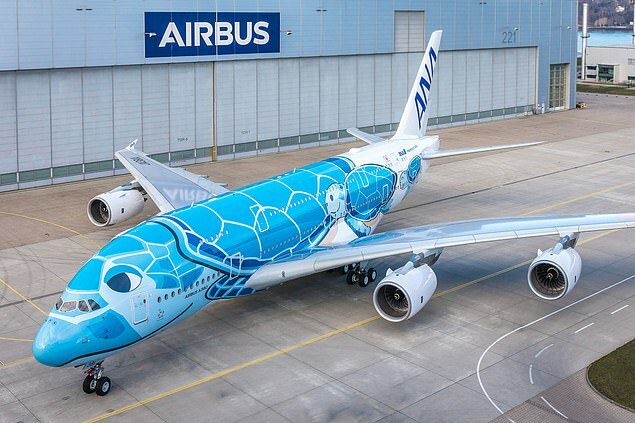 Airbus said it would ‘start discussions with its social partners in the next few weeks regarding the 3,000 to 3,500 positions potentially impacted over the next three years’. The BBC reported around 200 of those jobs are in Britain. The firm said an increase in production of its A320 model would offer ‘a significant number of internal mobility opportunities’. Unions have expressed ‘bitter disappointment’. 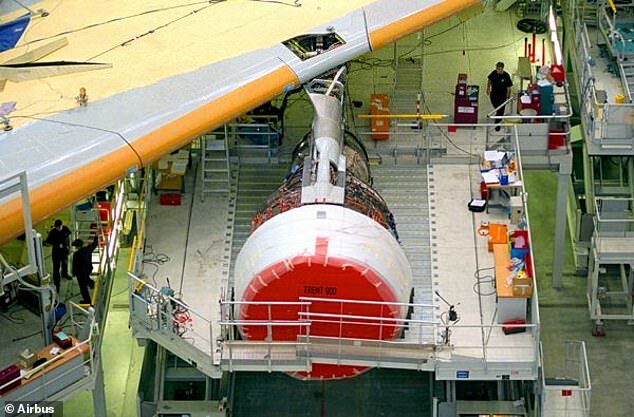 Unite, which represents workers at Airbus sites in Broughton, North Wales, and Filton, near Bristol, and those in supply chain companies such as GKN, said it would be seeking assurances on jobs and future work. 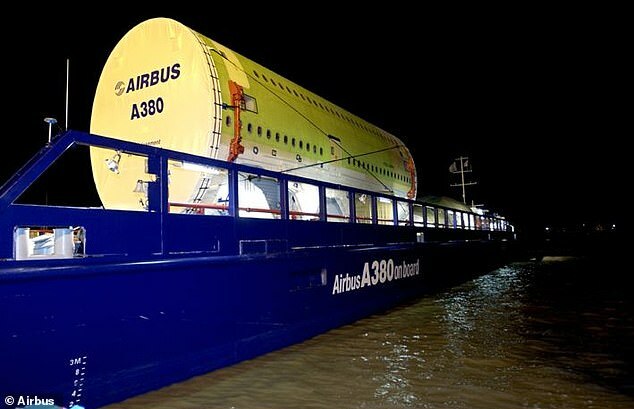 Unite national officer for aerospace Rhys McCarthy said: ‘This is a sad day for Airbus’s dedicated UK workforce, who have made the iconic A380’s wings since it entered service in 2007. It is a much-loved aircraft manufactured by a highly skilled workforce. 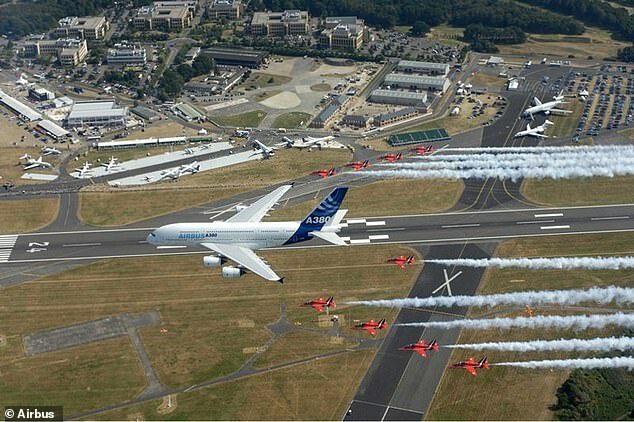 ‘Unite will be seeking urgent assurances from Airbus that there will be no job losses because of the decision to end production of the A380. 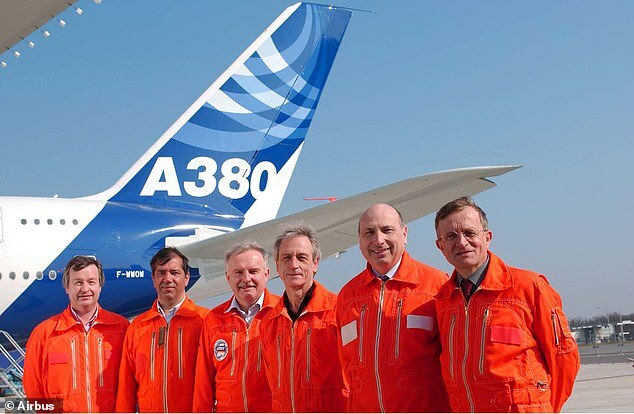 ‘We are of the firm belief that with a full order book in single-aisle planes, such as the A320, that our members affected can be redeployed on to other work in Airbus. In a media conference following the announcement, outgoing Airbus chief executive Tom Enders said the decision was ‘painful’. ‘It’s certainly painful to take the decision after all the effort, after all the money, after all the sweat that many, many thousand employees, and the CEO occasionally, have poured into that programme. ‘But in business, you have to base your decisions not on emotions or wishful thinking, but on facts. Mr Enders said: ‘What we’re seeing here is the end of the large four-engine aircraft. 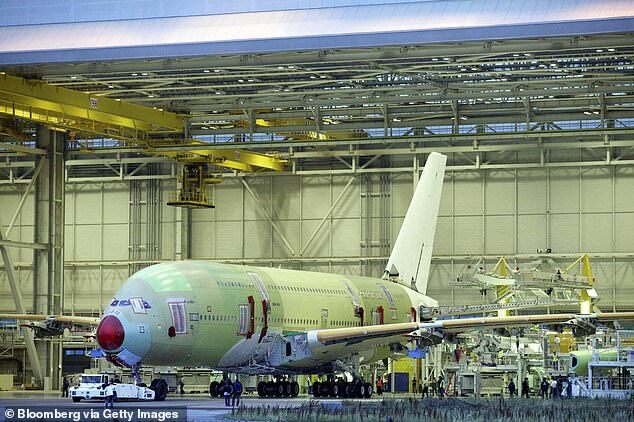 But he stressed: ‘We are talking about the end of production of the A380, not the end of the programme. On Brexit, Mr Enders said he was a ‘little more optimistic’ on a deal being reached. Mr Enders added the firm intends to ‘plan for the worst as much as we can and hope for the best’. 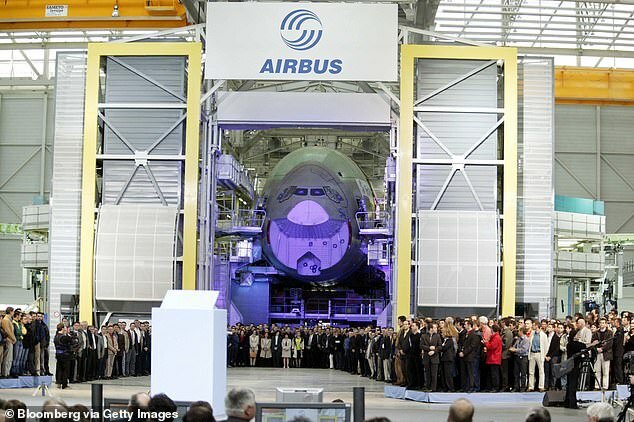 Mr Enders said Airbus is making contingency plans for a hard Brexit, including stockpiling certain components. 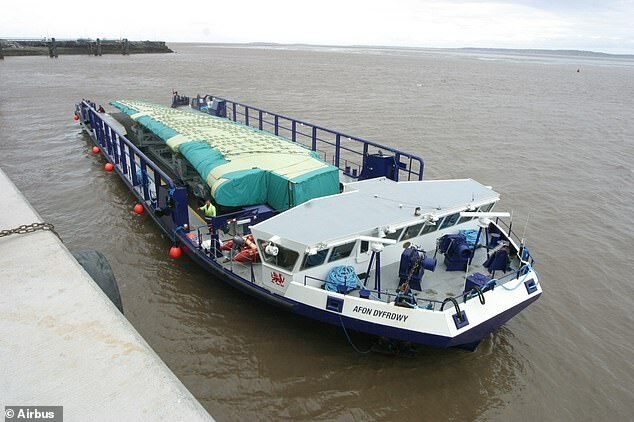 But he said contingency planning would ‘always be insufficient’. He added that stockpiling ‘works for weeks or months, but certainly not beyond that’. Airbus confirmed it hopes to redeploy a ‘significant’ number of impacted staff to other aircraft programmes. On the impact on British jobs, Mr Enders said: ‘It needs to be evaluated. 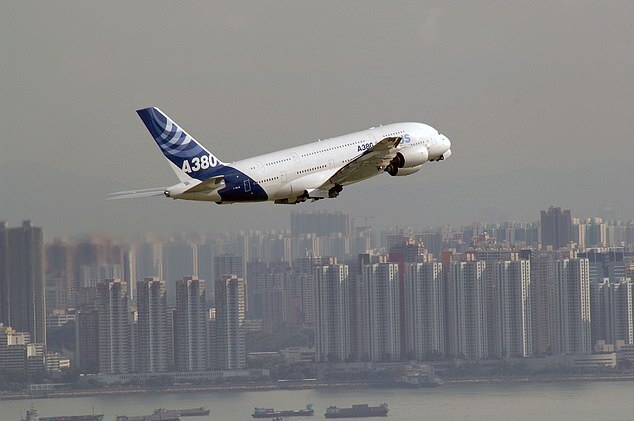 Airbus declined to give details of the number of potential jobs that could be impacted. 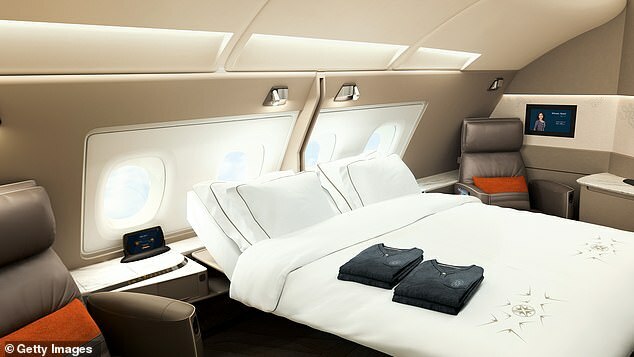 On Thursday, the firm said Emirates had chosen to reduce its order of A380s from 162 to 123 aircraft following a ‘review of its operations, and in light of developments in aircraft and engine technologies’. 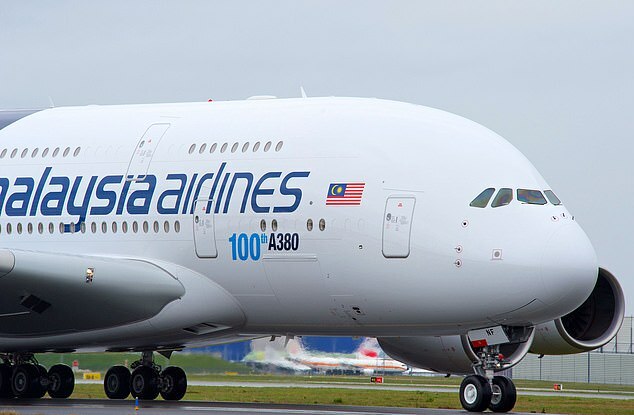 ‘As a result of this decision we have no substantial A380 backlog and hence no basis to sustain production, despite all our sales efforts with other airlines in recent years,’ Mr Enders said. 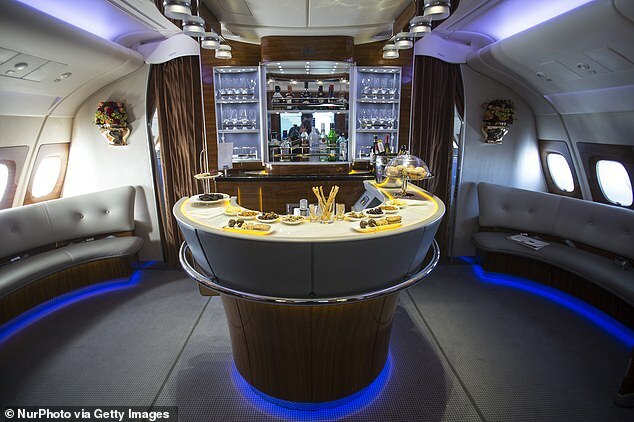 The A380 ushered in a new era of glamour at 38,000ft, with carriers using its cavernous interior to install suites, showers and bars. 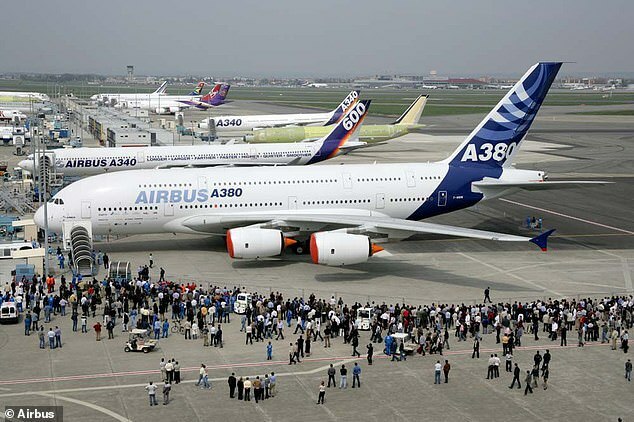 But now Airbus has sounded the death knell for this golden age of travel with the announcement, less than 12 years after its first commercial flight, that it will cease production of the superjumbo after 2021. 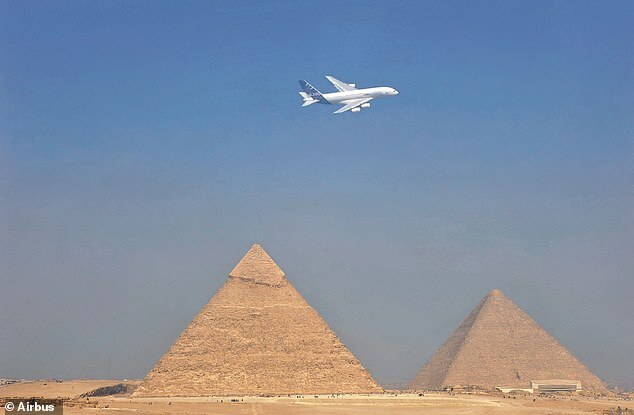 Here we look back at the aircraft’s remarkable history through fascinating pictures, from flying with the Red Arrows and buzzing the pyramids to peeks at the most luxurious cabins the aircraft offers. 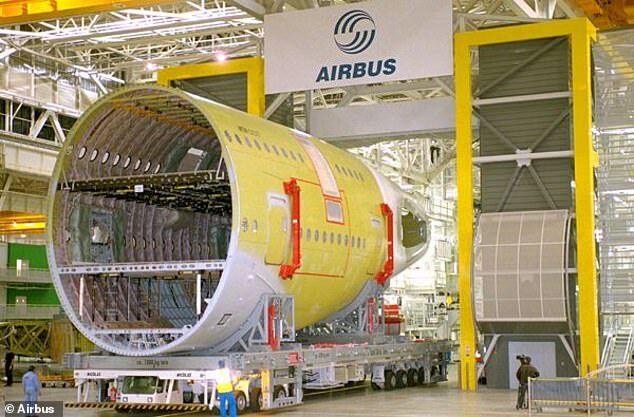 It was more than 30 years ago in 1988 when the idea for a super-sized 500-seat airliner was first mooted at Airbus. The aim? 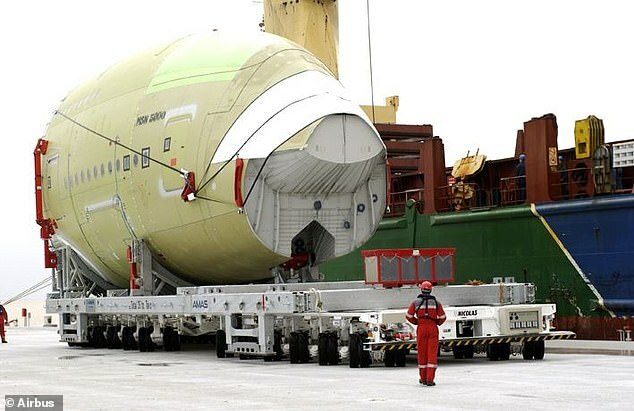 To directly challenge Boeing’s extremely popular 747. 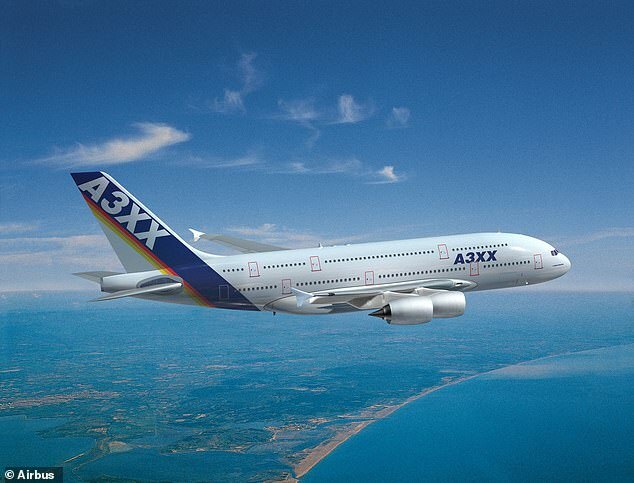 By June 1994, Airbus announced it was to develop a very, very large double-decker airliner, called the A3XX. 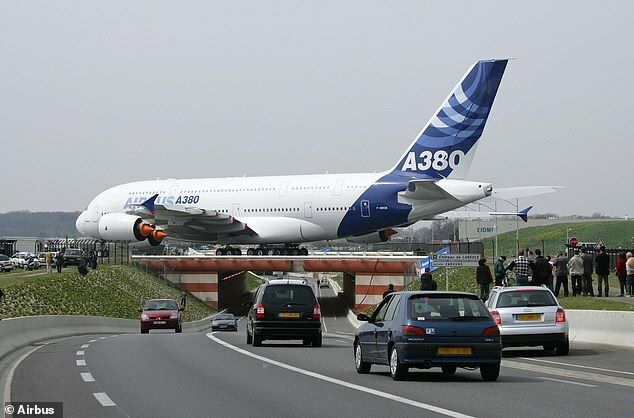 And six years later the $8.8billion (£6.8billion) project to develop the plane, renamed the A380, began in earnest. 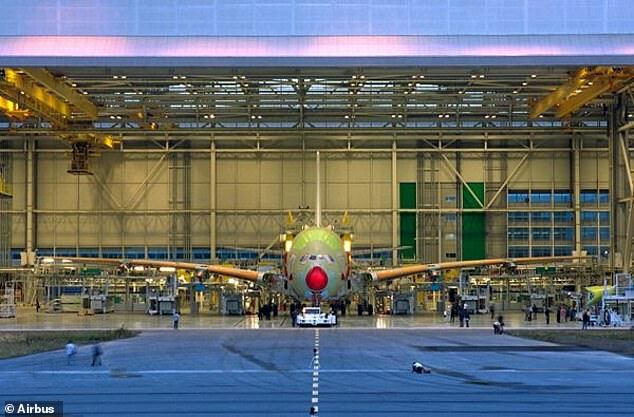 After the design of the huge new aircraft was finalised, construction finally began in 2002. The parts for the plane were built across Europe. The wings were constructed in Wales, the forward and centre fuselages made in France, the horizontal tail plane made in Spain and the tails fins and rear fuselages built in Germany. 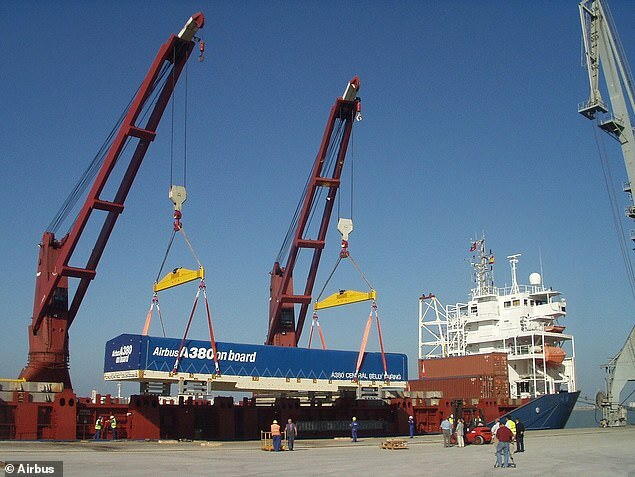 They were then brought by sea, air and road, to the production plant in Toulouse to be assembled. 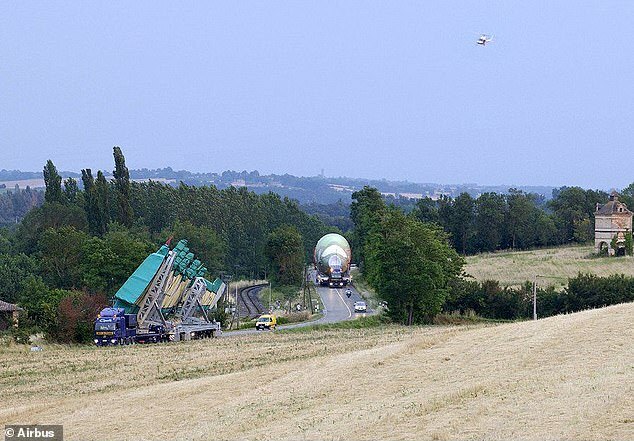 Roads around the plant had to be widened in order for the huge new plane parts to be transported in. 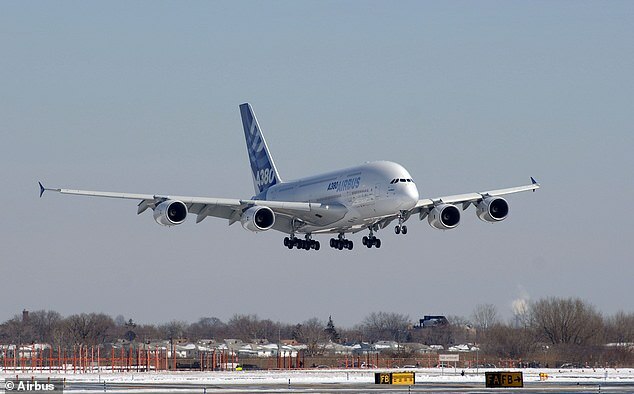 Airbus finally unveiled the first five test A380s in Toulouse in 2005 and the first maiden flight took place on April 27 of that year. 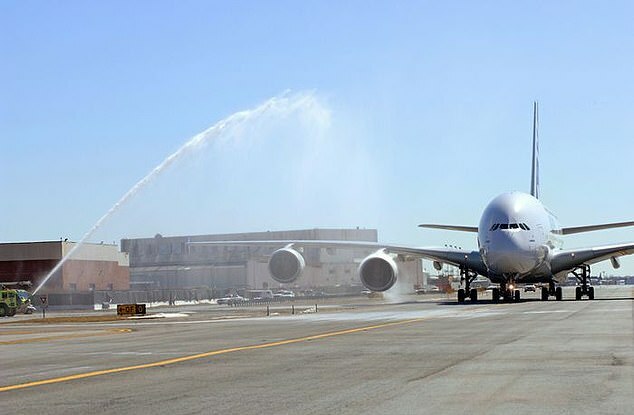 The giant plane touched down to applause after a flight of just under four hours. Nearly 30,000 spectators watched the behemoth take off and land. The on-board equipment recorded measurements for 150,000 separate parameters and beamed real-time data back to computers on the ground. The crew snapped souvenir photos in flight and after touching down. They also took no chances – donning parachutes for the first flight. A handrail inside the test plane lead from the cockpit to an escape door that could have been jettisoned had the pilots lost control. But problems were soon afoot when later that year, customers who had ordered the aircraft were warned of a six-month delay due to wiring problems. The first trans-Atlantic flight, from France to Colombia, took place in 2006 before cold climate testing in Canada and approval from both the European Aviation Safety Agency and the United States Federal Aviation Administration. 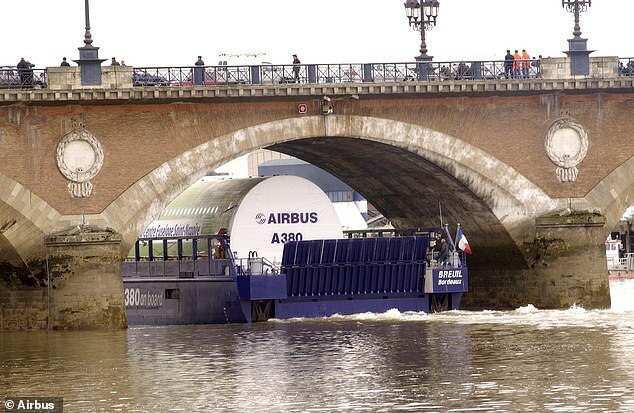 Comfort testing began in late 2006, before Airbus warned of yet another delay to its first delivery. 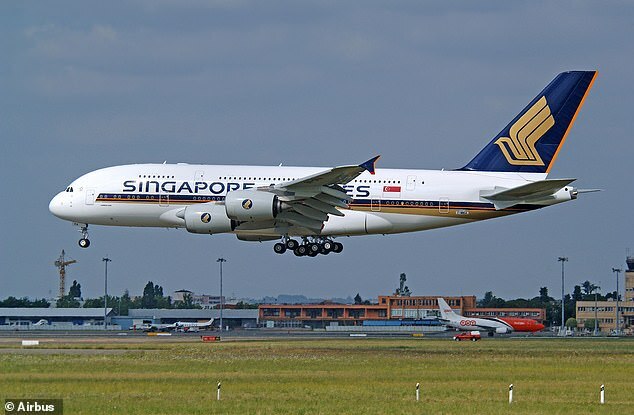 The inaugural customer was Singapore Airlines, which received its first A380 in October 2007. The first commercial flight was from Singapore to Sydney that month. 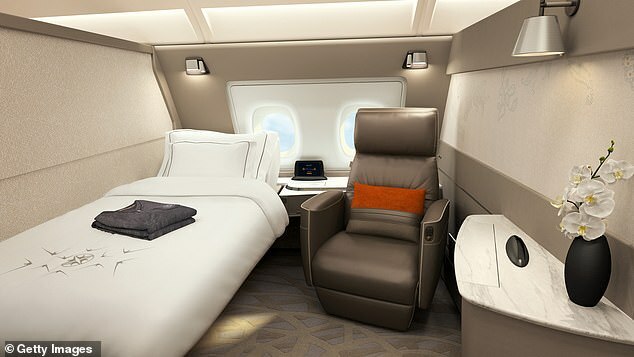 Singapore Airlines revolutionised air travel on its A380s by introducing first class suites featuring sliding doors and window blinds, an armchair hand-stitched by master Italian craftsmen, a standalone bed and a 23-inch wide LCD screen. 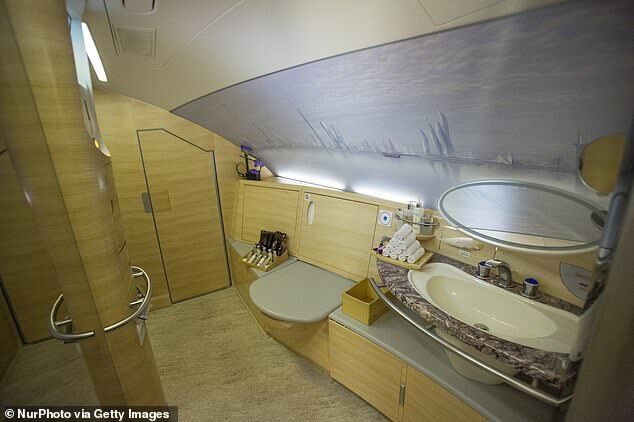 Almost a year later in July 2008, Emirates became the second airline to fly the aircraft. 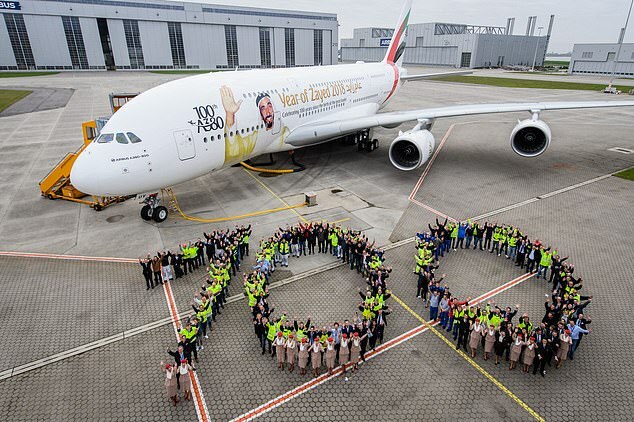 It now has over 100 A380s in its fleet, making it the biggest customer. 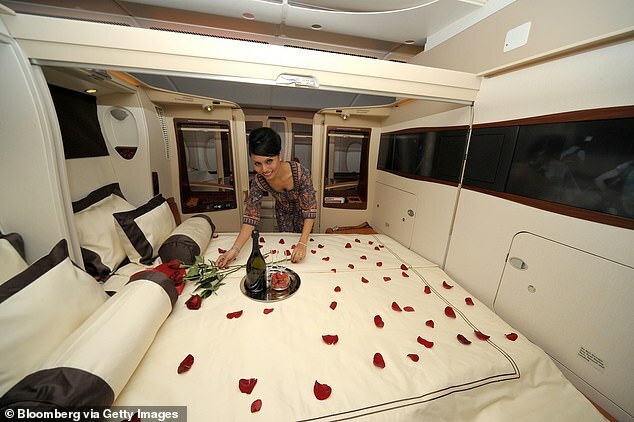 Following Singapore’s lead, it created lavish cabins, with first class ticket holders given showers and private suites. 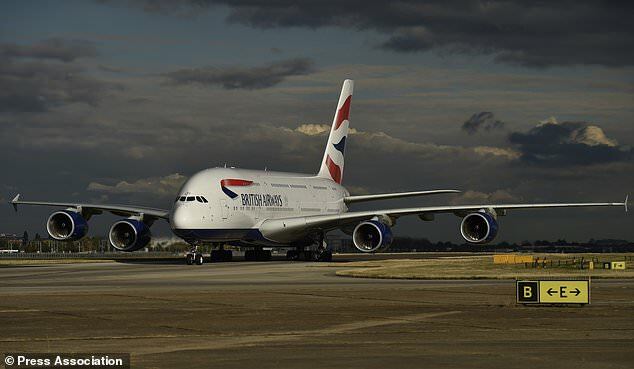 Australian flag-carrier Qantas was third to take delivery of the A380 while British Airways received its first A380 in 2013. 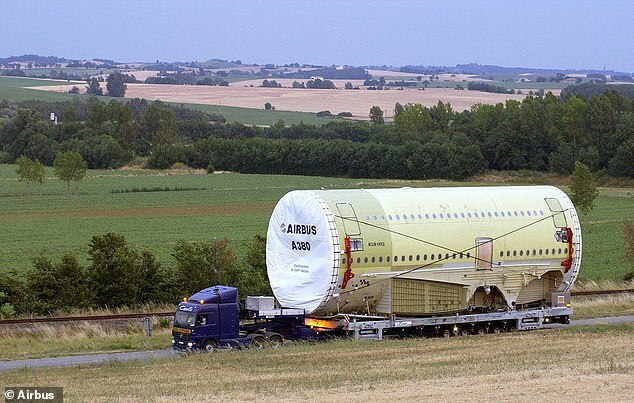 No US carrier has ever ordered an A380. 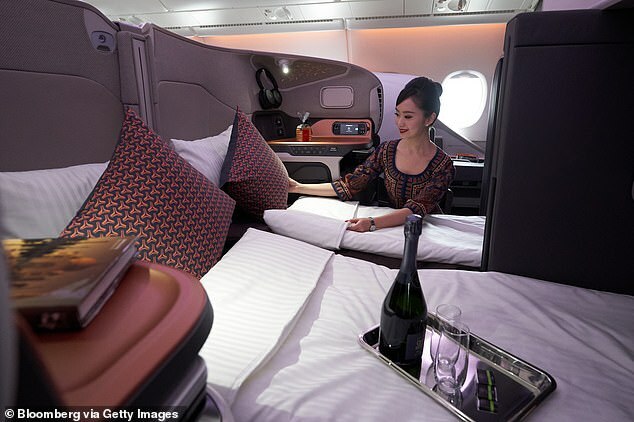 Despite being launched to much fanfare and receiving orders from 13 different airlines, the A380 has been beset with issues. In November 2010, Qantas Airways and Singapore Airlines temporarily suspended flights of the A380 after an engine failure forced an emergency landing in Singapore. 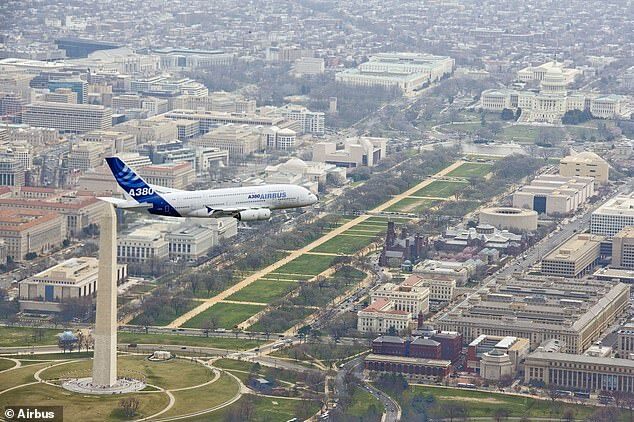 And by July, 2016 Airbus announced that it was cutting production of the A380 in half, going to just one jet a month by 2018. 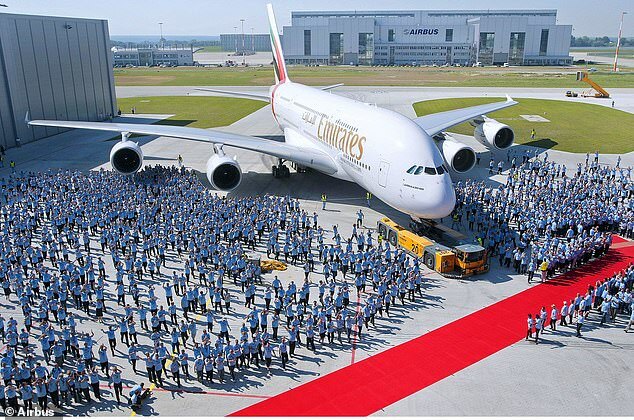 By 2018, Airbus said it would have no other choice but to halt the costly A380 programme if Dubai’s Emirates airline, its biggest customer of the A380, did not place another order. Last year Emirates Airlines struck a $16 billion (£12.3 billion) deal to buy 36 A380s, but it is now switching some orders to the smaller A350. 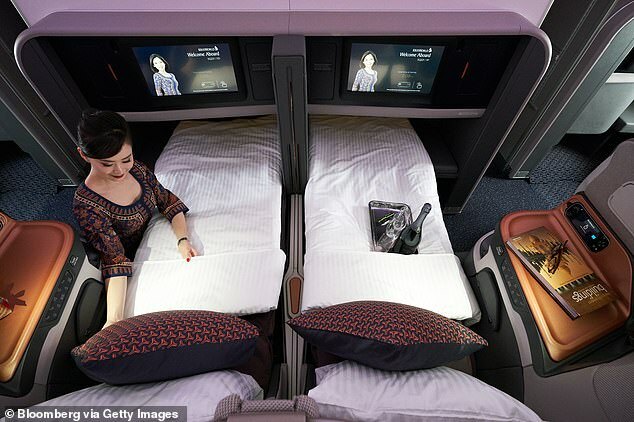 Analysts have pointed to customers demanding flights directly to their destination rather than following Airbus’s model of taking a long haul journey from hub-to-hub followed by a short hop on a smaller plane. Also, airlines began favouring smaller twin-engined models, which are easier to fill and cheaper to maintain. Today the firm said Emirates had chosen to reduce its order of A380s from 162 to 123 aircraft following a ‘review of its operations, and in light of developments in aircraft and engine technologies’. 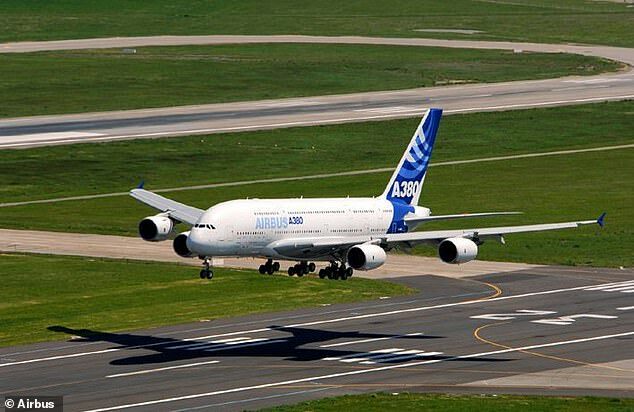 ‘As a result of this decision we have no substantial A380 backlog and hence no basis to sustain production, despite all our sales efforts with other airlines in recent years,’ Airbus chief executive Tom Enderss said. 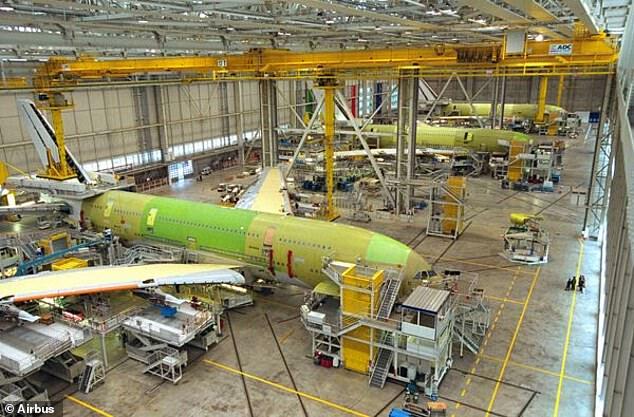 Airbus will produce 17 more of the planes including 14 for Emirates and 3 for Japanese airline All Nippon Airways.